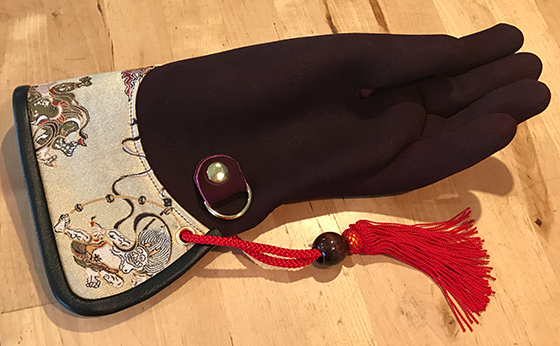 All of the products are entirely hand-crafted with great care, using highest-quality leather which has been used in Japanese traditional crafts or martial arts. 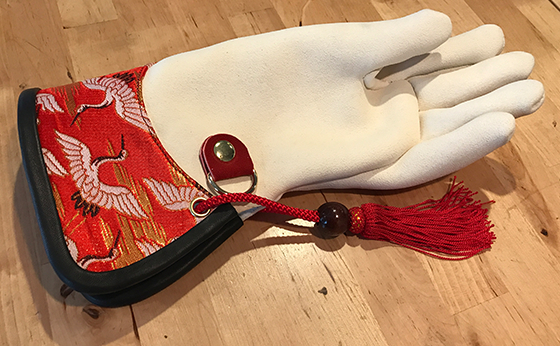 STOOPER gloves are a mix of the traditional Japanese style and modern style.They last for many years and are all customized to fit your hands and your falcons. 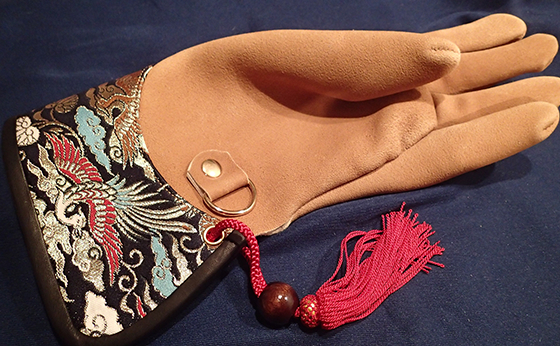 Inden is a Japanese craftwork designs which are put together with Japanese lacquer on a deer skin. Inden were commonly used in decoration for armor of Japanese feudal warlord. 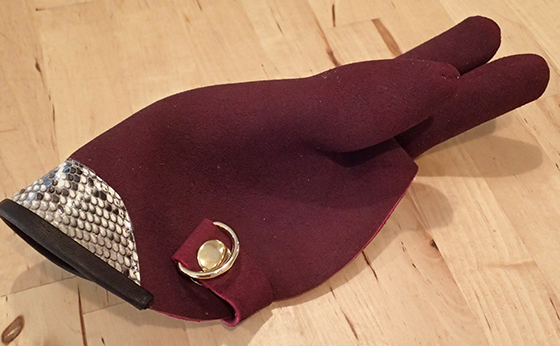 This beautiful and durable skin is well suited for falconry equipment. ‘Dragonfly’ patterns were preferred by Japanese feudal warlord for the reason that it can’t fly backwards… Meaning ‘never retreat in the battlefield’. 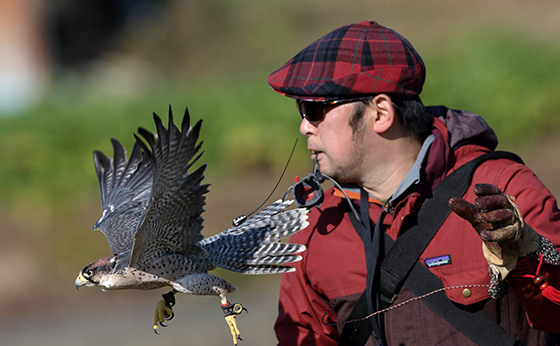 Python is especially popular with male falconer. This durable and attractive leather go with any deer skin. 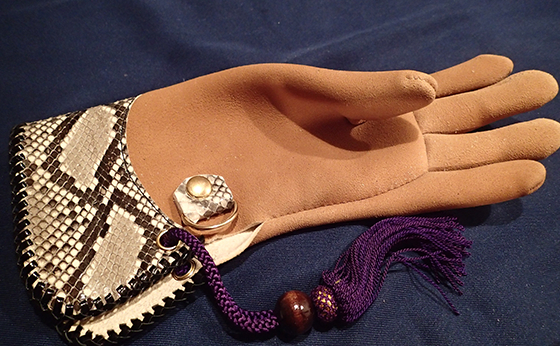 Three finger gloves are for small falcons and owls. It has been receiving good reviews. 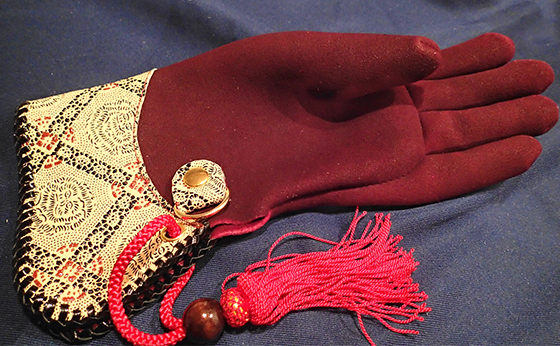 Kinran is a brocade which uses gold thread and weaved through it. 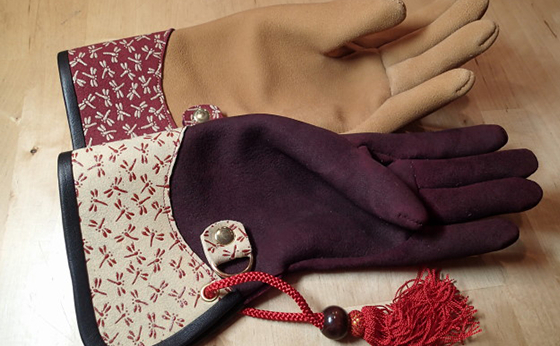 These gorgeous and delicate patterns express the heart and soul of Japan. ‘Phoenix’ This beautiful Kinran expresses a sacred legendary bird flying grandly in the sky. ‘Choju-giga‘ is credited as the oldest work of manga. There are frogs and rabbits playing Sumo wrestling. 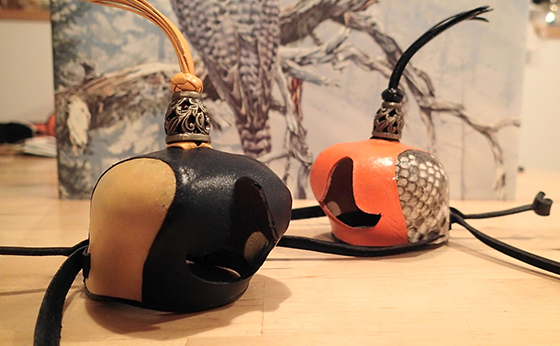 This pattern is particularly popular with female falconers. ‘Fujin & Raijin’ depicts Wind God and Thunder God painted by Japanese artist Sotatsu TAWARAYA. They are both feared and respected for their power over nature. We also make custom-made gloves for kids. Hood is made to fit to your bird. 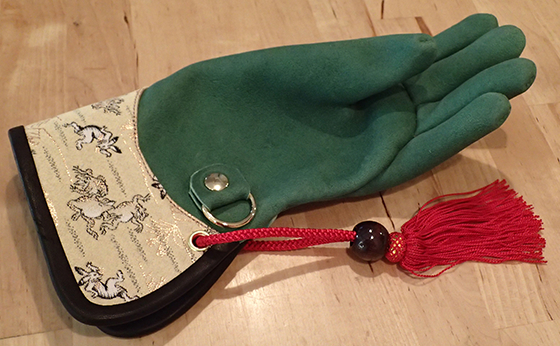 It is recommend to prepare the hood with a matching glove. 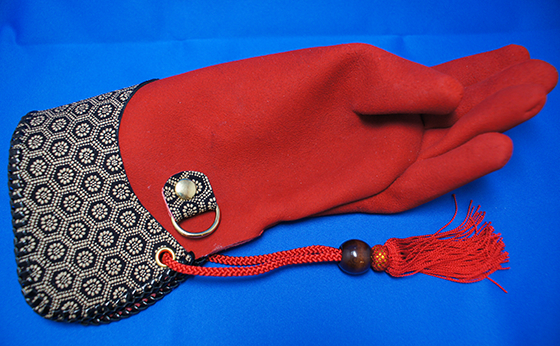 We can make gloves and hoods according to your preference. Prices are subject to the material and design of your order. Payment is accepted by PayPal.